Automate is the latest operating system from PT Garage Doors. This ingenious opener is professionally installed for $499 in the dashboard of your car for the ultimate in convenience. You’ll never need to look for your opener again with Automate. Q. 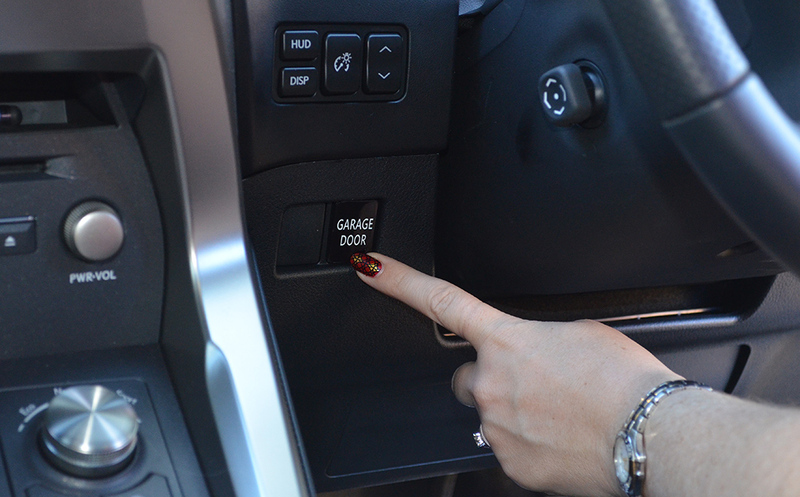 Will Automate open and close the door when the car is switched off? A. Yes, our technician wires Automate to operate when the car is switched off. Automate does not draw any current except when pressed, so there is no drain on your car battery. A. Bluetooth is certainly an option but the current technology requires the use of a smart phone. As bluetooth technology becomes more widespread, so too is legislation about the use of hand held devices whilst operating a vehicle. Increasingly, bluetooth functionality is being modified to prevent use unless a vehicle is stationery. Automate operates via a simple, easy to see and press button. It uses proven radio frequency technology that can be responsibly used whilst driving. Q. Can’t you use android auto or apple car play, Siri? We are monitoring emerging technology and will introduce it when it proves to be trouble free and affordable.